A top agent shared the three listing presentation questions that have helped put him in the top 2 per cent of Ray White salespeople internationally. Jared Cooksley, the youngest Ray White franchise owner in New Zealand, spoke at AREC this year to share his tricks for winning listings and building rapport with clients. “We ask three questions at our listing presentation,” he said, adding that these three questions help him fill in his presentations and understand his clients better. “The first one is literally the first words out of our mouth when we enter the house: 'When was the last time you bought or sold real estate? ',” he said. 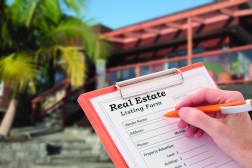 A potential client who has filled in a form that says they haven’t sold or brought a home personally in the last 10 years may have taken part in a parent’s property sale or been a close spectator of a friend or neighbor’s sale. This insight can help you understand why the client asks certain questions or responds in certain ways to your suggestions. Next ask the client what they are looking for in a real estate agent, although Mr Cooksley says you should do this while walking around the property with them so as not to put them on the spot. Agents should always be open to their clients’ responses and try to encourage as much discussion as possible. Mr Cooksley uses phrases like ‘What else can you tell me?’ and ‘Is there anything more you’re looking for?’ to get more information without grilling the seller. Finally, and most importantly, Mr Cooksley said agents should ask the seller what success looks like for them. Utilising these questions in the first stages of the conversation will help agents work out what to avoid during the formal presentation. “If they've already told you that they want to list by auction and they want to spend $5,000 on marketing, you don't need to start at the front of your presentation talking about price by negotiation,” he said.